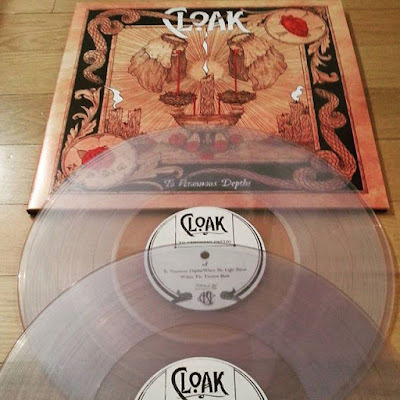 Monday and it's time for "Record Of The Week"
CLOAK is a four piece black metal/rock band, hailing from the city Atlanta, Georgia in the deep South of the USA. "To Venomous Depths" is the bands latest album and was released on November the 10th last year. The band is very influenced by Nordic black metal and they blend it with some melodic rock to create their own style. The outcome is groovy with a catchy sound of dispelling darkness that somehow suits great here. Some quick reference could be the Swedish TRIBULATION. "To Venomous Depths" have all the essential elements to make this an interesting work to enjoy as a metalhead. Great guitar compositions from Scott Taysom and Max Brigham, groovy bass licks by Matt Scott, dynamic drumming from Sean Bruneau and organic vocals from Scott Taysom makes the music sound powerful and dark. The album opens softly with a piano on "To Venomous Depth / Where No Light Shines" before the remaining ensemble steps into the spotlight. A clear bass line, cleaver guitar riffs, great drumming and a powerful vocals introduce the band and the standard on what to follow. The ground base continues on "Within The Timeless Black", the tune is creative and memorable, really fun track. "The Hunger" is a heavy piece, with black metal running in the veins. "Beyond The Veil" is very intense tune, melodic and very groovy. "Death Posture" is a glooming and slow piece, amazing solo on the tune. The doomish and spectacular melody tune "In The Darkness, The Path" to the riffage monster "Forever Burned". "Passage" with some somber harmonies until the album closes pretty dramatic with "Deep End". 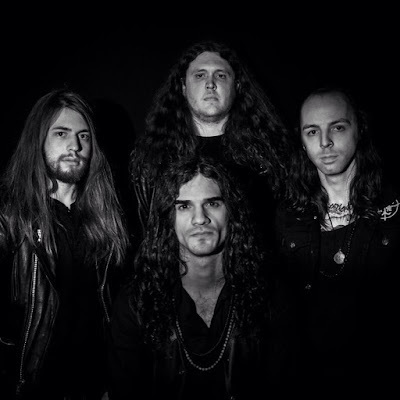 Sum: "To Venomous Depths" is a great melodic black n' roll album that suits most metalheads, it should not be missed. A nice clear Vinyl version. Thanks to Robert Sandström for the tip! 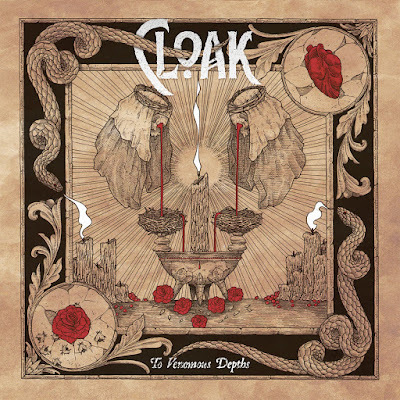 Today's tune "The Hunger" is taken from "To Venomous Depths", enjoy! Listen to ”Cloak - The Hunger" on Spotify!